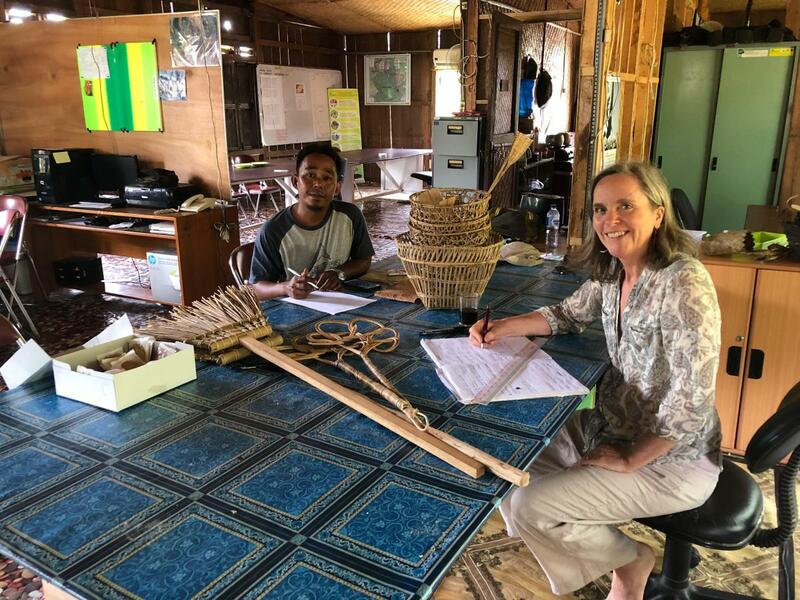 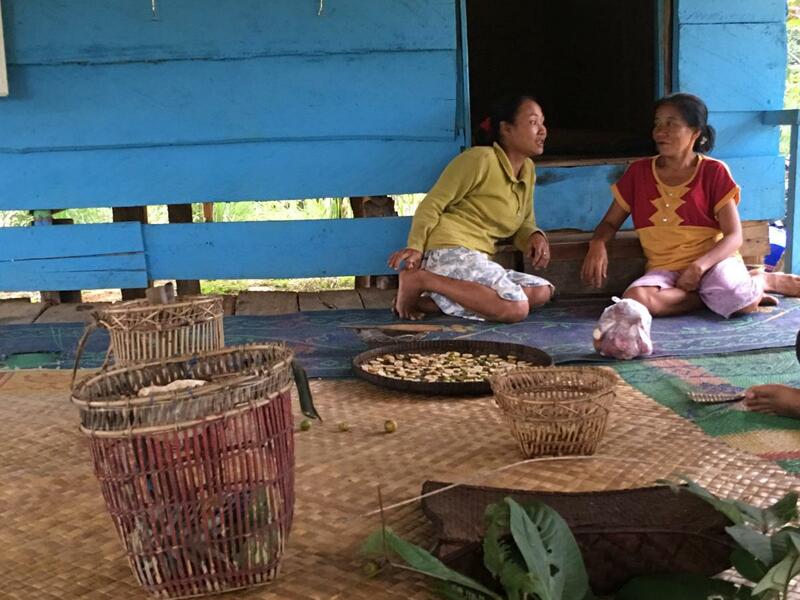 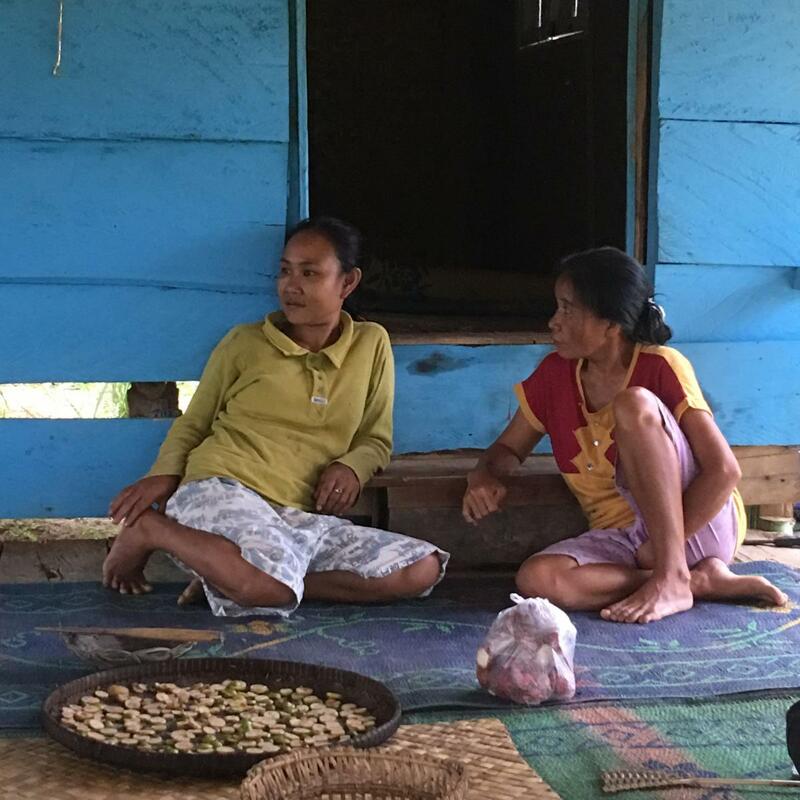 Following her first visit to the Hutan Harapan Emily returned in May and August to see the samples of traditional baskets and household items used in daily life made by the indigenous Batin Sembilan community. 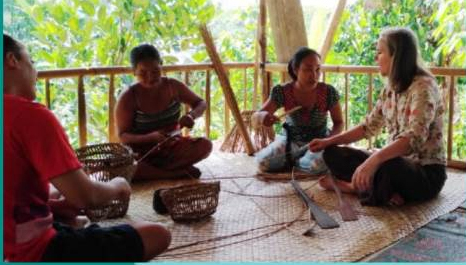 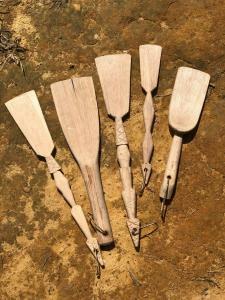 Most baskets were woven from rattan vines and bamboo collected in the forest and mats from giant pandanus leaves. Hutan Harapan means Forest of Hope and is made up of 50,000 hectares of production forest which is now being protected from conversion to palm oil plantations and restored back to a balance ecosystem. 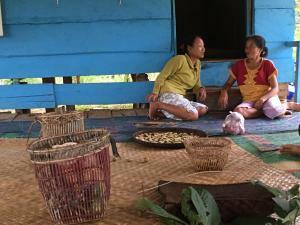 The initiative is backed by the RSPB as many rare birds live in the forest along with about 16 pairs of critically endangered Sumatran tigers. Empowering the Batin Sembilan and offering alternative livelihood options to palm oil cultivation for the migrant communities that live in the area is a critical part of the process and it is hoped that agroecology combined with developing traditional artisan crafts and ecotourism can achieve this.